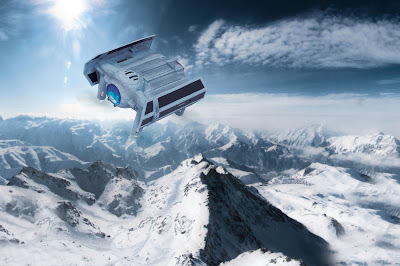 The past few years have seen the rise of drones as consumer products and now Propel is bringing drones to the Star Wars galaxy with a new line of high performance battling drones. Available tomorrow (aka Force Friday II), there will be three new Star Wars drones available for fans to purchase and battle with. 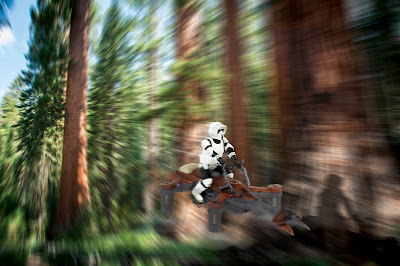 The three drones available will be an X-Wing, Darth Vader's TIE Advanced, and a speeder bike. Each drone will retail for $199 in the US and $229 in Canada, and are capable of traveling at up to 35mph. The drone controllers also play the iconic Star Wars soundtracks by John Williams as well as lines from classic Star Wars characters. Propel invited The Star Wars Underworld and other members of the press to a special launch event in New York City earlier this week and I had the pleasure of attending the event and trying out the drones. Before we got our hands on the drones, we were treated to a presentation by Propel CEO Darren Matloff where he walked us through the technology in the drones. Matloff highlighted how the drones can be used to battle one another in what he described as "laser tag on crack." Each drone can "fire" at their opponents using infrared lights and hits are recorded on the drones micro processor. The drones then can communicate this information using "LiFi" technology so that users can keep track of their "stats" across multiple battles. Another feature that was highlighted in the presentation was the training smartphone app (available for free starting September 1st on iOS and Android) where first time drone users (like myself) can learn to control their drone without actually flying (therefore cutting the risk of crashing!) 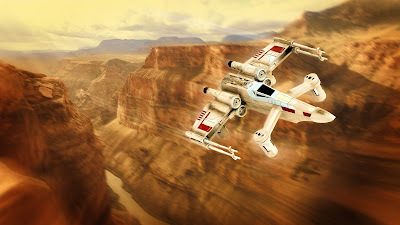 The app connects to the drone controller via bluetooth and the app teaches fans to fly the drone in a flight simulator set in the Star Wars universe. The app tells the story of an Imperial or Rebellion cadet (depending on which drone you buy) and the player is taught the basics features of the drone so that once fans are ready to fly their actual drone they should be able to jump right from the app to the physical drone without missing a beat. As I mentioned, at the event I actually got to try out the app and the drones. This was my first time trying a drone of any type so there was a bit of a learning curve. Given the nature of the event I didn't get to spend too much time practicing with the drone or the app before being thrust into a battle with other drone pilots so my piloting skills could still use some work. That being said, the drones were certainly a lot of fun and I would definitely be interested in trying them out some more. Much like training to be a Jedi, patience is needed to become a skilled pilot but fans should be able to have fun with the drones regardless of their skill levels. You can find out more about the Propel Star Wars drones and order yours (as of Force Friday) here.